Hudson Taylor was a sickly child. He was often ill and had very poor eyesight. But God chose him to evangelise the Chinese. So at the age of 21 Hudson Taylor left the United Kingdom to sail half way around the world to China. Why did he do this? He did it to tell the Chinese people about the good news of Jesus Christ and to give them a message of hope. This story covers Hudson's childhood and traumatic teenage years as well as his life as a well-known pioneer missionary. Hudson Taylor: An Adventure Begins by Catherine MacKenzie was published by Christian Focus Publications in November 2014 and is our 14434th best seller. 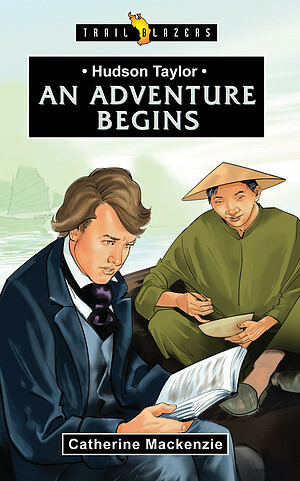 The ISBN for Hudson Taylor: An Adventure Begins is 9781781915264. Be the first to review Hudson Taylor: An Adventure Begins! Got a question? No problem! Just click here to ask us about Hudson Taylor: An Adventure Begins.